We Are Social and Citizen Relations will join a new marketing services group following an agreement between their Chinese owner BlueFocus and US data analytics firm Cognit. The new entity, which will be named at a later date, will include BlueFocus’ social media specialist We Are Social, plus its Vision 7 International arm, which includes PR shop Citizen and other agencies Cossette, Vision7 Media, and The Camps Collective. They will be combined with Cogint’s US-based performance marketing platform Fluent. Each brand will operate as separate entities, according to a joint statement from BlueFocus and Cogint. BlueFocus will own 63 per cent of the combined company, with the remainder held by NASDAQ-listed Cogint. The newly combined company is expected to be listed on NASDAQ, subject to regulatory approval. Combined revenue will exceed $400m (£305m), with underlying earnings (EBITDA) of more than $50m (£38.2m) over the past 12 months. The statement says the move would help the brands expand in North America and elsewhere. "There is also the opportunity to leverage Fluent’s platform to drive campaign planning, creative and targeting for virtually every marketing channel, extending beyond digital to TV, radio, print and outdoor," the statement says. 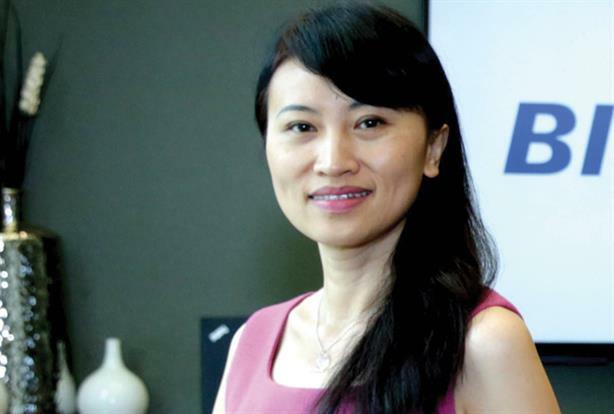 Holly Zheng, CEO and president of BlueFocus International, said: "We are confident that the combination businesses announced today will create a new kind of marketing services company, in line with BlueFocus’ overall vision of building an intelligent branding communication group globally." Ryan Schulke, CEO and co-Founder of Fluent, said the firms were "poised to create one of the world’s largest marketing services organisations with a truly differentiated and powerful offering". In a statement, We Are Social stressed that there would be no changes in its leadership as a result of the agreement. Robin Grant, co-founder of We Are Social, said: "We’re looking forward to being part of a bigger group with more expertise, capabilities and scale. An important part of the reason we joined the BlueFocus family was their ambitious plans for international growth, and this agreement is another significant step towards achieving our mutual ambitions." Global revenue at Citizen Relations grew 11 per cent to $271m in 2016, according to PRWeek’s Agency Business Report, which did not include figures for We Are Social. Last month, Citizen Relations named former Talk PR MD Helena Fisher as its UK managing director.